For children attending kindergarten, it is very important how you arrange its environment, how it is obvious and safe. This is true not only of being in kindergarten group, but walks in the area. Properly organized the walk should fully meet the needs of children in a self-familiarization with the surrounding world, engagement and communication with other children. Therefore, the veranda of the children's garden need to decorate, so she liked children and it them it would be nice to be, to chat, to play. It is because on the veranda of a child is so much time to her design placed high enough requirements. 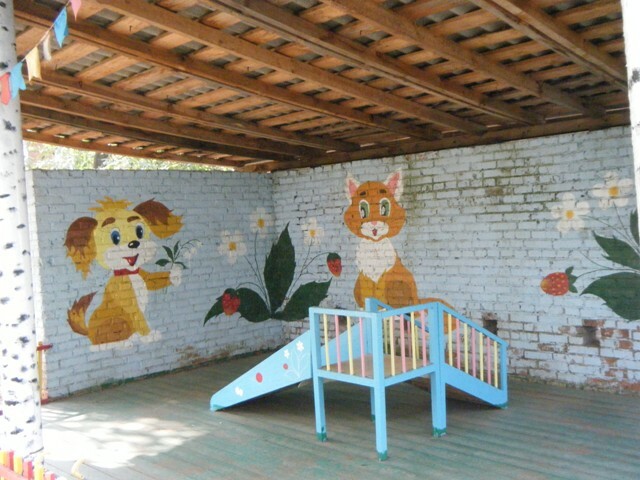 The veranda of the kindergarten should not only protect the baby from sun and rain, but also serve as a decoration of the site. This can be done in different ways. The easiest way is to buy a ready – made deck. Games promenade veranda for kindergarten are available in different types and modifications. Ready verandas can be themed, decorated in different styles and colors, but must be safe for children. To on the veranda it was possible to conduct classes, relax, it's completed with built-in benches and tables. At the same time on the veranda is enough free space in the rainy weather the children were able to move actively. And what do the teachers of those kindergartens, where verandas are still old, still brick, and the opportunity to replace them with new and modern! Then left to go the second way – to decorate the porch on its own. The decoration of the porch can match the time of year, and can get to a particular occasion. Indifferent to the business heads of kindergartens and educators will be able to find a way out. 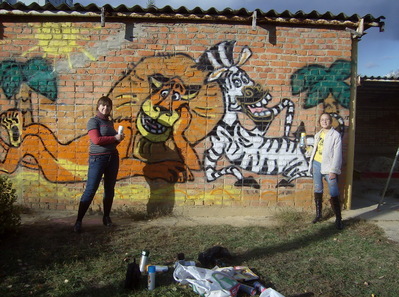 For example, in some kindergartens for the decoration of verandas invited guys who are fond of graffiti. But most of the design and decoration of the verandas is responsible for children, sometimes attracting for these purposes, parents who are concerned about the conditions in which to spend time with their children. Decorate the outside any possible means, the main thing - to show imagination and to have the desire. According to the norms of children attending kindergarten have to walk twice a day. To walk could be done in any weather conditions, at the sites includes covered veranda, which can serve as a protection from rain or sun. Sanitary standards, the porch must have a minimum area of forty square metres and a fence with two or three sides, depending on climatic conditions. On the veranda you can play games, activities and even eating in the warmer months.